uHotelBooking is a secure hotel management and online booking system that offers small to medium-sized hotels, holiday flats or guesthouses a single platform from which to manage online reservations. Incorporating real-time booking technology, a room-availability calendar and booking statistics, uHotelBooking aims to deliver a smart online booking solution for hotels. In order to manage hotel reservations effectively, uHotelBooking equips users with effective tools such as real-time booking, multi-hotel support and dynamic price calculation. Moreover, with multi-language, database and currency support, uHotelBooking serves to provide users with a flexible booking platform. Promoting a fully open-source and responsive design, uHotelBooking enables users to organize bookings conveniently from any laptop, tablet or smartphone device. Moreover, uHotelBooking facilitates website widget integration, customer registration and secure online payments. Besides booking management functionality, uHotelBooking presents users with comprehensive administrative features including a powerful administrator control and configuration panel. With uHotelBooking’s administrative tools, users can define user roles, utilize email templates and review bookings statistics. uHotelBooking also contains a reporting module with which users can valuable insight into business performance. To further enhance the user experience, uHotelBooking offers a number of additional modules such as comments, customer reviews and hotel ratings. Just as they say uHotelBooking for viewing room inventory, and booking reservations in real time. This software is current, fast, speedy, and reliable. The software also is adaptable and willing to help all types of accommodations. You can access customer management and online reservations in minutes. The invoice is very helpful when it comes to getting extra help. The website has great integration allowing one to become familiar with the booking engine. The multi language support could certainly be more helpful and have more language options. The site also does not look the best on every device, especially a cell phone. We improved responsive template in the last version. It also supports multi-languages. uHotelBooking offers 3 pricing tiers. uHotelBooking offers a responsive design, serving to enhance the user experience by promoting a consistent look and feel across laptop, tablet and smartphone devices. uHotelBooking employs real-time booking technology, permitting customers to search room availability and make online reservations easily. uHotelBooking promotes a number of additional features, allowing users to add a gallery, comments or customer reviews module directly to their site. uHotelBooking provides multi-hotel support, enabling users to manage single and multi-hotel sites effectively and efficiently. uHotelBooking includes reporting functionality, providing users with the tools to gain actionable insight into business performance. Below are some frequently asked questions for uHotelBooking. Q. What type of pricing plans does uHotelBooking offer? Q. 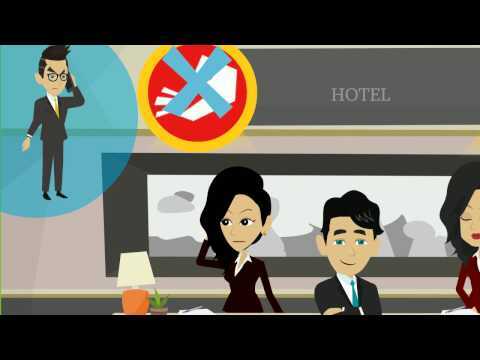 Who are the typical users of uHotelBooking? Q. What languages does uHotelBooking support? Q. Does uHotelBooking support mobile devices? Q. Does uHotelBooking offer an API? Yes, uHotelBooking has an API available for use. Q. What other apps does uHotelBooking integrate with? Q. What level of support does uHotelBooking offer?